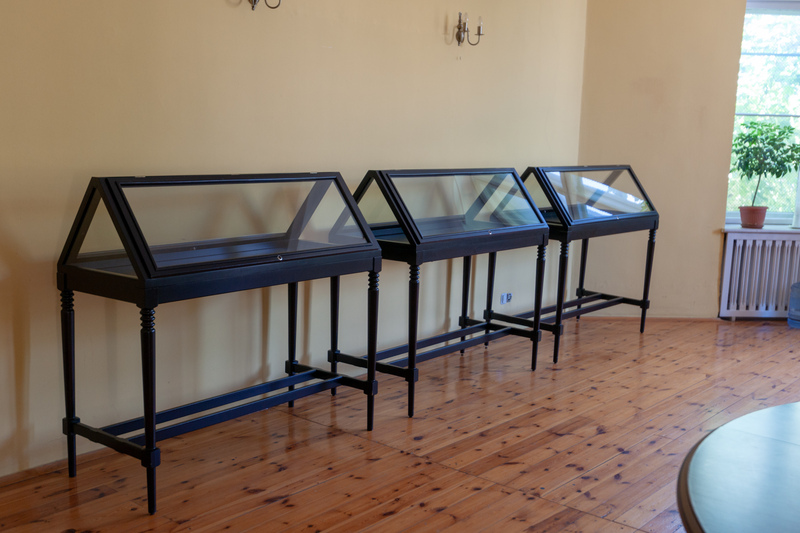 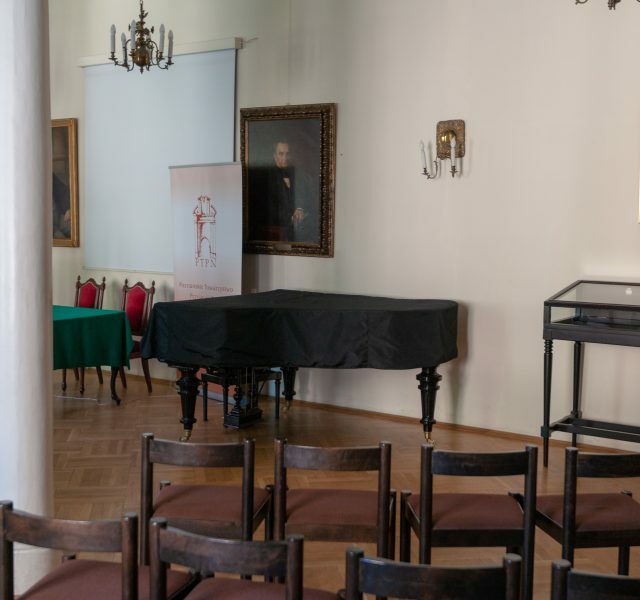 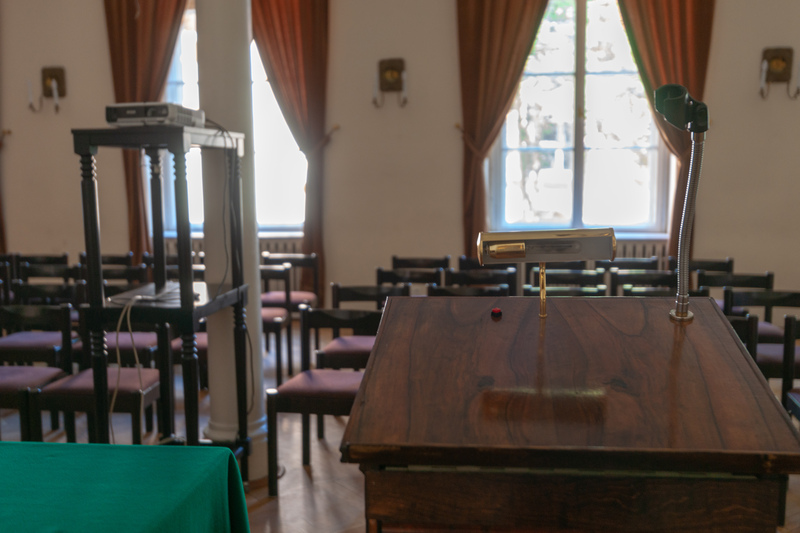 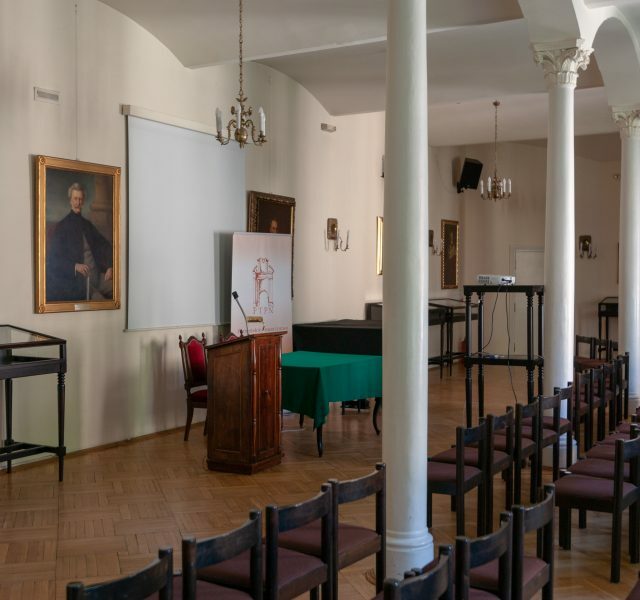 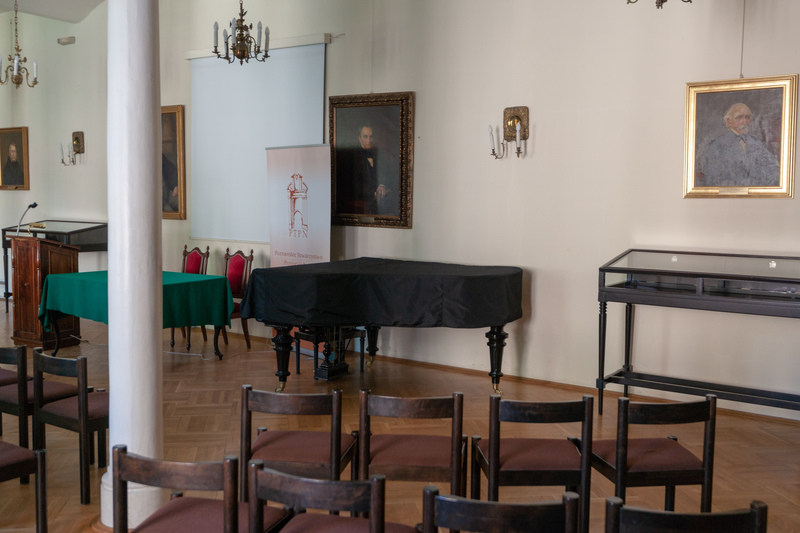 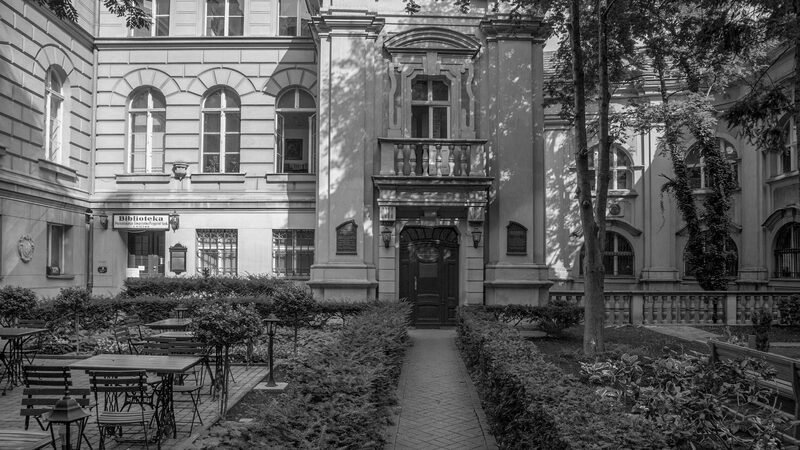 The Poznań Society for the Advancement of Arts and Sciences offers renting of the Seweryn Mielżyński conference room. 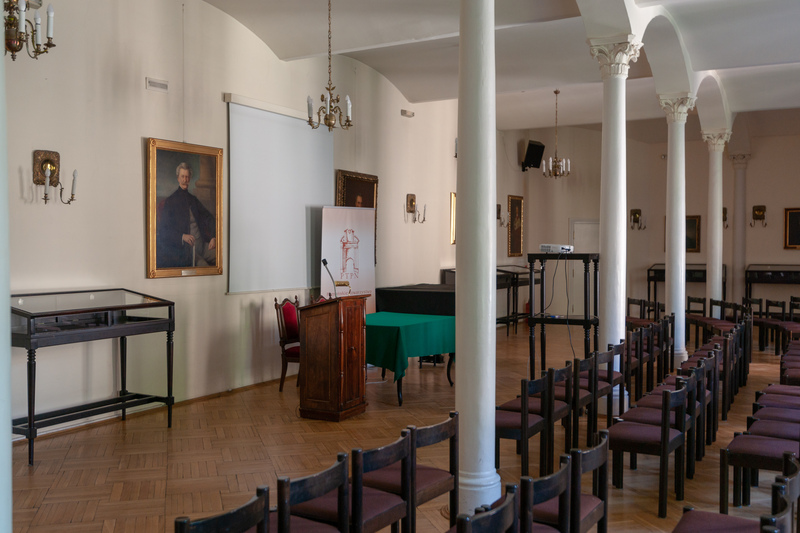 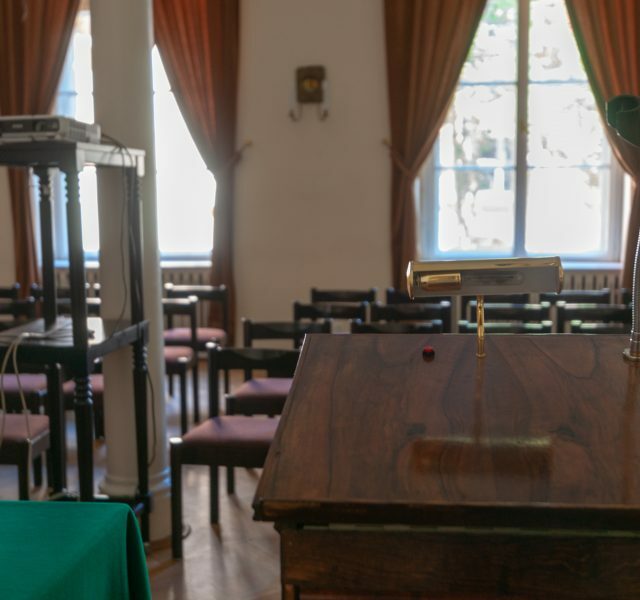 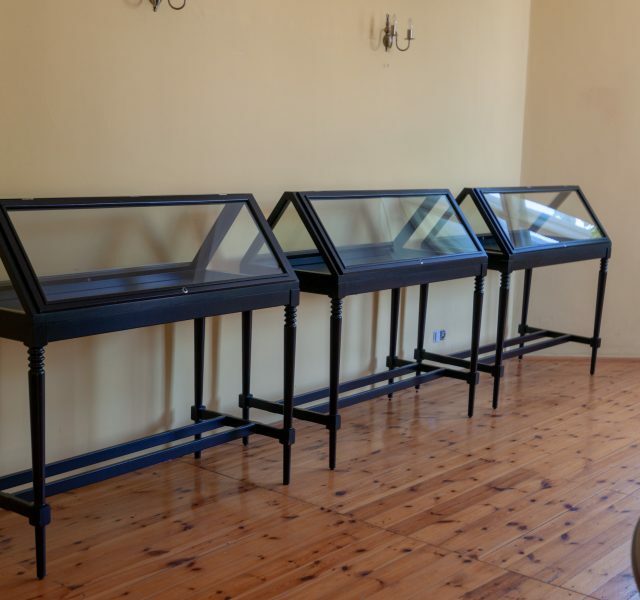 The room is spacious and bright, equipped with multimedia facilities (the Internet, projector, DVD, wireless surround), perfect for conferences, symposiums and musical concerts (grand piano at disposition). 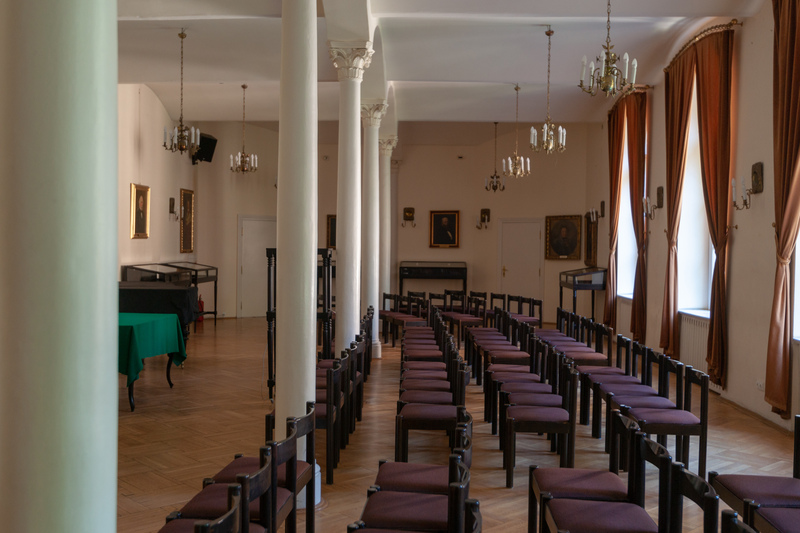 The room can seat up to 120 people, with the possibility to supply 20 additional seats. 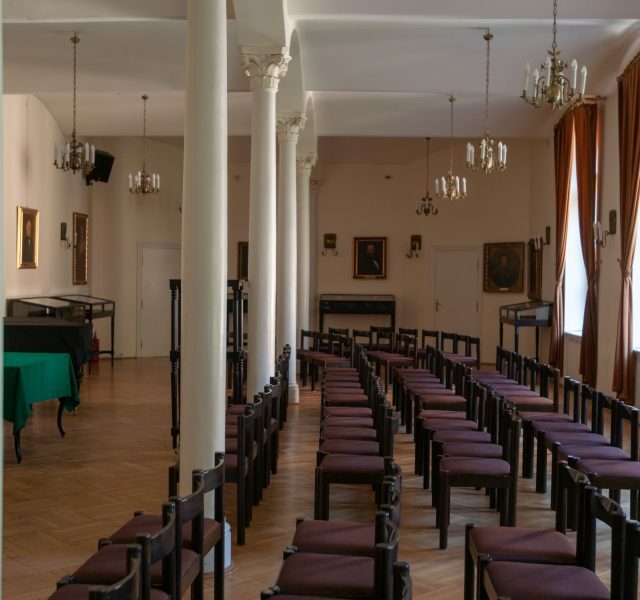 The room is complemented by the gallery of paintings presenting the founders of the Society and more honourable members. 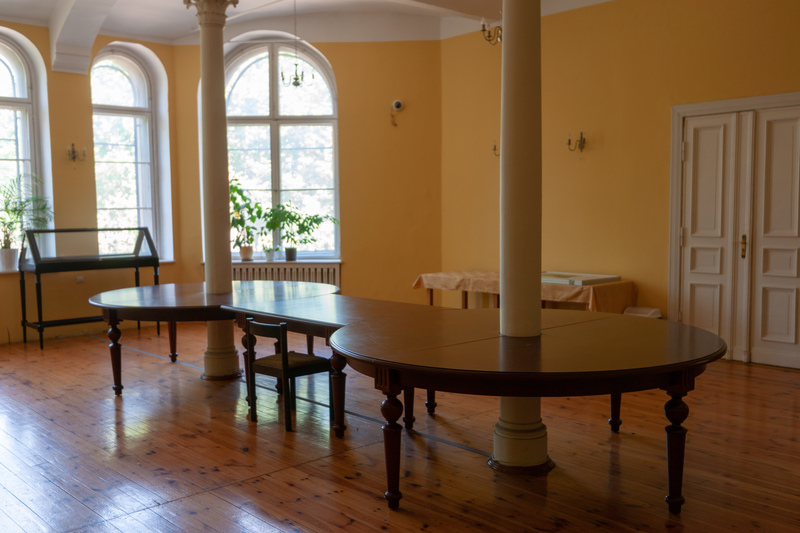 At the disposal of organizers there is cloakroom and a smaller room, in which food, coffee or tea can be served. 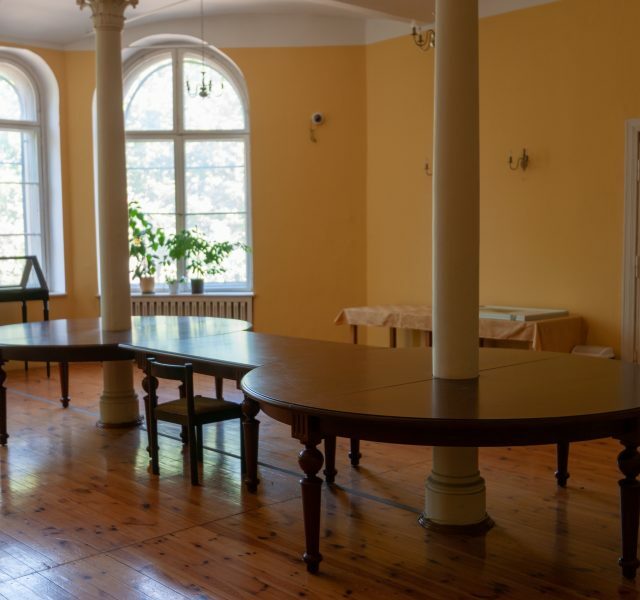 All the rooms are monitored.